The island nation of Indonesia straddles the equator between the Indian and Pacific Oceans and lies at the heart of the ‘Coral Triangle’ - the epicentre of the world’s marine biodiversity. Nowhere on earth can visitors experience such a range of spectacular diving - from encounters with huge whale sharks and oceanic manta rays, to muck dives with beautiful Rhinopias and the exceedingly rare psychedelic frogfish. Separated by the South China Sea, Malaysia is divided into Peninsula Malaysia on the Asian mainland, and East Malaysia in Borneo. Both parts of this fascinating country offer a wealth of different destinations - from beautiful islands and deep jungles, to modern cities and villages steeped in history. There is nowhere on earth quite like the Maldives. With its pristine white sandy beaches, over-water bungalows and extensive healthy reefs, the Maldives provide front row access to a spectacular abundance of beauty and marine life - including some extraordinary big fish encounters. Comprised of over 26 ring-shaped atolls and more than 1,000 coral islands, the planet’s lowest lying country is the perfect tropical holiday destination and a worthy ‘bucket list’ addition for any discerning diver. The Philippines is defined by its breathtaking landscapes, diverse marine life, lush rice terraces and mountain slopes, graffiti-splashed jeepneys, and the smiling, friendly people of this island nation. With a unique cultural heritage, experiences here are a world apart from the rest of Southeast Asia and the Philippines is fast becoming the ideal holiday destination for divers, sun worshippers and adrenaline junkies alike. Snorkel amongst formations of rays at the world’s greatest manta site. Join hundreds of manta rays feeding in Hanifaru Bay. Join a citizen-science expedition with the Manta Trust. Help support conservation of the Baa Atoll Biosphere Reserve. Asia’s best manta ray night dive in North Ari Atoll. Watch manta rays feeding as they fly through a circle of lights. Explore both North and South Ari's world-class dive sites. Dive legendary manta sites and trek in search of the prehistoric Komodo dragon. Visit Karang Makassar and Manta Alley, Komodo's best manta sites. Book a liveaboard trip and dive throughout the park. Snorkel with feeding manta rays around the beautiful island of Sangalaki. Explore Kakaban, Derawan and Maratua Atoll. Encounter resident manta rays, turtles and more. Escape the crowds and dive Borneo’s latest dive frontier. Dive with Nusa Penida’s resident manta rays off Bali’s SE coast. Watch manta rays as they visit cleaning stations. Explore Nusa Penida and Lembongan’s exciting diving. Search for mola mola during the summer season. Encounter oceanic and reef manta rays amongst stunning reefs. Visit world-class manta sites at Misool and the Dampier Strait. Witness hunting mobula feeding on baitfish. Stay in a stunning eco-resort, or book a liveaboard. Simply enter your details below and a ZuBlu travel specialist will be in touch with you shortly. Any special requirements you would like to add? We look forward to sharing our updates from the underwater world of Asia with you. We always keep your data safe. Top notch service, experience and knowledge = unforgettable adventures above and below the water! Highly recommend them! So knowledgeable and insanely helpful in choosing the perfect dive destination. Will definitely book with them again! Looking for even more underwater inspiration and insight? We will never spam you. Newsletters will go out on a bi-weekly basis. You can unsubscribe at any time. We do not share your data with any other parties. 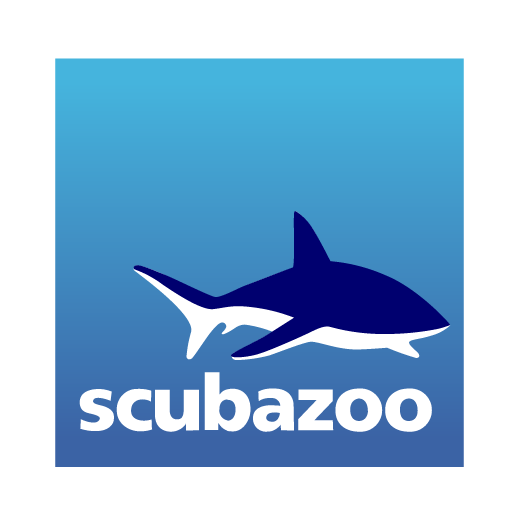 ZuBlu is the leading dive travel platform to search, compare and book scuba diving and underwater adventure travel in Asia. With over 150+ eco-friendly resorts and liveaboards to choose from, guests can travel green while exploring the big blue. Enter your email to join the ZuBlu community and inspiration from the underwater world of Asia, special offers, latest news and much more. Success, please check your email to confirm your subscription.